While it’s been nearly four years since Jonathan Demme‘s last narrative feature, the filmmaker is still keeping busy. His latest film comes in documentary form, as he followed around musician Neil Young during his 2011 tour, most specifically surrounding his trip to the artist’s hometown of Toronto at the concert venue Massey Hall. As I’ve never been overly invested in Young’s work, the documentary seems to be a little plain-looking and something possibly only for fans. At least the filmmaker is still working, but this first trailer for Neil Young Journeys only makes me eager to see another fictional work from Demme. Check it out below. 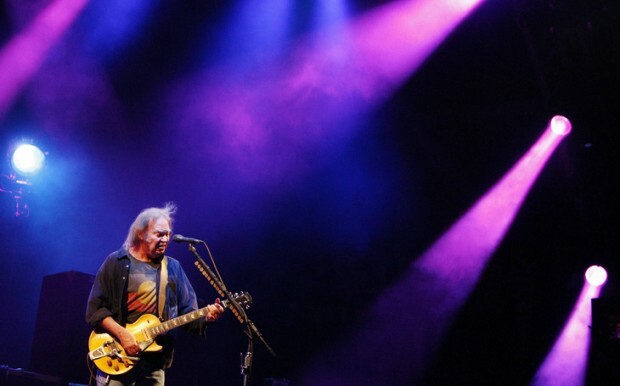 A look at Neil Young’s 2011 solo tour to Toronto’s Massey Hall, an iconic venue in the city of his birth. At sixty-five, Young retains a youthful vitality and musical curiosity. Concert footage of the Massey Hall performances is interspersed with scenes from a road trip through Ontario. Driving a 1956 Ford Crown Victoria, Young visits the rural town of Omemee, where he spent a key part of his formative years, and reminisces about his former neighbors. As he drives past the dramatically changed landscape, Young fondly embraces his memories of the past. Neil Young Journeys hits theaters on June 29th, 2012.